If you read our last post (https://nyackpenguinplunge.wordpress.com/2017/03/29/10-interesting-true-reasons-why-penguins-are-the-best-animals-in-the-world/) you’ll understand just how amazing they are. There have been so many movies that star our favorite animal so here’s a list of some of the best ones! Another classic animated penguin movie! This time however, it’s all about a penguin who wants to become a surfing champion. While this movie includes all different kinds of zoo animals, the penguins easily steal the show! If you want to watch a beautiful documentary all about penguins, look no further than this movie which happens to be narrated by Morgan Freeman! Even though it’s not animated, it’s still fun for the whole family. You’ll love this comedy starring Jim Carey. It’s both live action and animated so both kids and adults will enjoy it! A slightly unconventional pick but the main villain in this Batman movie is Penguin who is played by Danny DeVito! Penguin is not friendly like the penguins in Happy Feet so this is most suited for teens and adults. 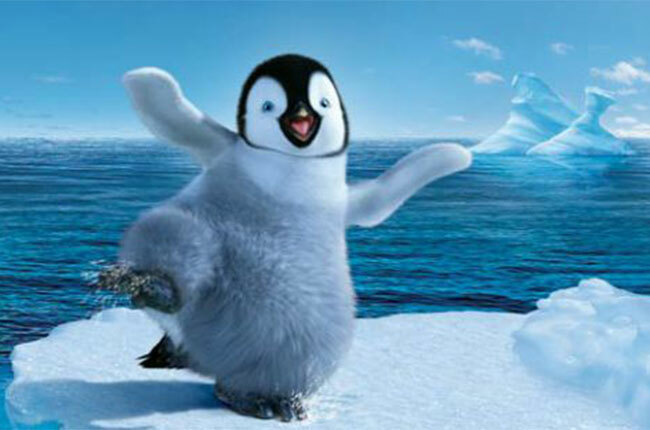 This fun, animated film is about the adventure a penguin goes on to win over the love of his life! Next time you’re planning a movie night, be sure to pick one of these fun movies or have a marathon and eat some icy treats!